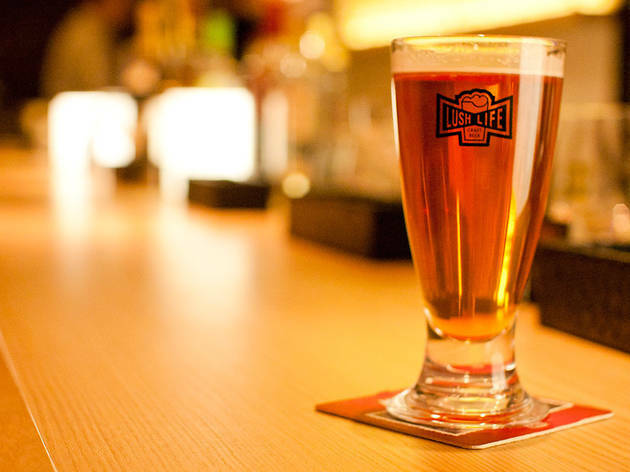 Easily one of the most stylish additions to the Tokyo craft beer circuit, Lush Life looks more like a high-end dining bar than a pub, all soft-lit pale wood surfaces and minimal decor, with an ornate siphon coffee maker perched at one end of the bar. 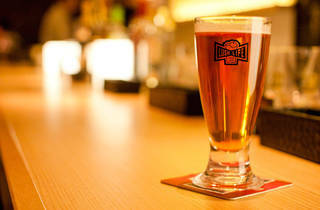 There are a dozen beers on tap, including both Japanese and international microbrews and some rare-in-Tokyo selections, which on a recent trip included Devil's Canyon Belle Sparkling California Ale and Bear Republic's acclaimed Racer X Double IPA (it didn't disappoint). At first blush, the food menu looks considerably less interesting than the beer list, but even run-of-the-mill offerings like beer-battered onion rings and peperoncino spaghetti are done with real flair. Were it not for the incessant Jack Johnson soundtrack that played throughout the couple of hours we spent there, we might have stayed much longer.